The Cantor Law Group is comprised of highly successful and well-known attorneys, representing people in all walks of life throughout Arizona and Nationwide. We pride ourselves in obtaining the best results for our Family Law and Divorce Clients. The Cantor Law Group enjoys an excellent reputation throughout the legal community because of our aggressiveness, integrity, honesty, and professionalism. Many attorneys claim to be aggressive, yet they fail to follow through. The Cantor Law Group truly is Beyond Aggressive!!! The Cantor Law Group has over 200 combined Jury Trials in all types of cases. Our Firm’s lawyers have a combined 70 years of legal experience! Our highly experienced staff of paralegals, investigators, and law clerks have the qualifications and ample resources necessary to successfully research, investigate and litigate all aspects of your Family Law/Divorce Issue, regardless of case type. We will obtain the best results possible for you, and we are ready to help immediately! We represent men and women in Divorces with and without children, as well Post Judgement Modifications, Child Support Issues, Grandparents Rights and a host of other causes. Featured on Hannity and Colmes, the CBS Early Show in New York, Inside Edition and FOX Newsmaker Sunday. Firm has received the highest possible rating, “AV”® by Martindale-Hubbell ®! Firm listed in the Bar Register of Preeminent Lawyers ®, (Family Law). 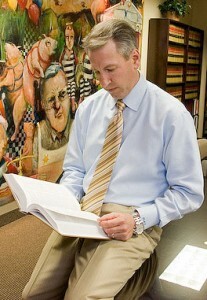 * David M. Cantor is also a member of the law offices of David Michael Cantor P.C. (a separate and distinctive law firm which specializes in Criminal Law). The Cantor Law Group – Beyond Aggressive!! !